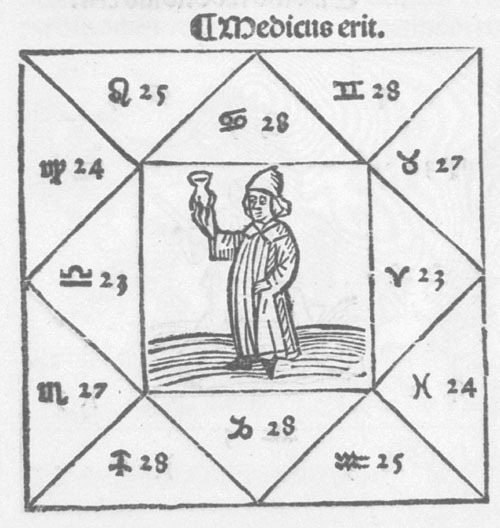 In his youth, Regiomontanus cast horoscopes for famous patrons. 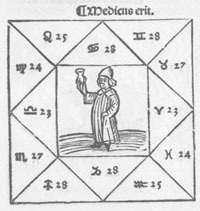 His Tabulae directionum, completed during his time in Hungary, were designed for astrological use, and contained a discussion of the different ways of determining the astrological houses. The calendars for 1475-1531 which he printed at Nuremberg contained only a limited quantity of astrological information, namely the method of finding times for blood-letting according to the position of the moon; subsequent editors added a quantity of additional material. 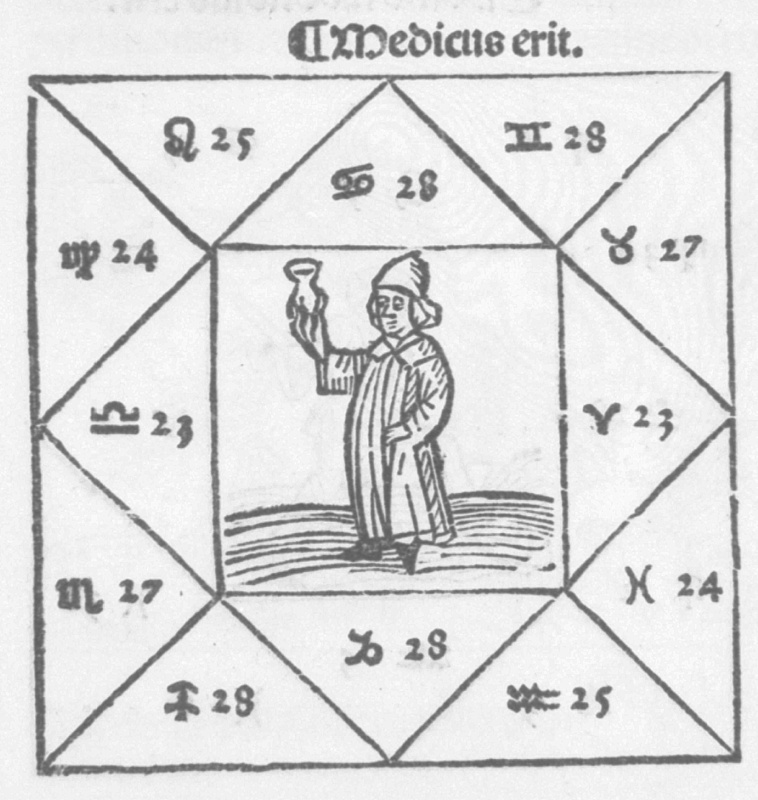 But perhaps the works most indicative of Regiomontanus' hopes for an empirically-sound astrology were his almanacs or ephemerides, produced first in Vienna for his own benefit, and printed for the years 1475-1506 in Nuremberg. Weather forecasts and observations were juxtaposed by Regiomontanus in his manuscript almanacs, and the form of the printed text enabled scholars to enter their own weather observations in order to likewise check astrological predictions; extant copies reveal that several did so. Regiomontanus did not live to produce the special commentary to the ephemerides which he promised would reveal what advantages these almanacs hold for the multifaceted activities of physicians, for human births and telling the future, for weather forecasting, for the start of employment, and for a host of other activities , although this lack was again rectified by subsequent editors. Nevertheless this announcement suggests that Regiomontanus was either as convinced of the validity and utility of astrology as his contemporaries, or willing to put aside his misgivings to achieve commercial success.